As campaigns by various political parties in Ondo state gather momentum, the joint security operatives in Ondo state have begun aggressive patrol and surveillance in all the nooks and crannies of the state. The Joint Security operatives include the police, Nigeria Army, and the Nigeria Security and Civil Defence Corps (NSCDC). the presidential campaign rally of the All progressives Congress (APC), coming up on Tuesday in Akure, the state capital. The joint security operatives were seen in a convoy patrol at the weekend in various locations in Akure, the state capital. It was learnt that the aggressive patrol was to create awareness and scare people of questionable characters, who might capitalise on the various political campaigns going on at all the local government areas to carry out their heinous crimes. A senior officer with the state police command told The Hope Metro that aggressive patrol and surveillance are part of the security measures adopted to scare criminals away from the state. He said the exercise would be a continuous one, before, during and after the conduct of the elections adding that the joint security operation which began last week, will help check acts of criminality in the society. The state Police Public Relations officer, Mr Femi Joseph, who confirmed the development said the exercise is one of the crime prevention strategies and preparation towards the president’s visit on Tuesday. He explained that the measures have become necessary to forestall any possible breakdown of law and order, just he warned those with criminal intent to have a rethink or be ready to face the full wrath of the law. 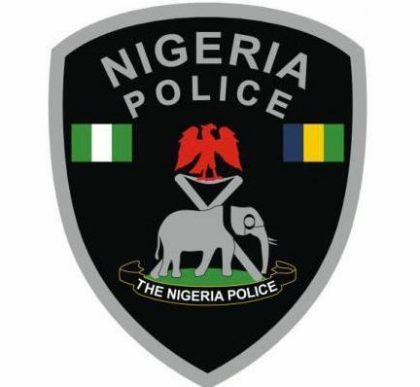 The police spokesman urged the general public not to panic with the presence of security agencies in the town, saying, they should continue to go about their legitimate and lawful duties unmolested. Joseph said, “The recent aggressive security patrol /surveillance is a crime measure and strategy ahead of the president’s visit to the state tomorrow. “As law enforcement agencies, we must protect the lives and property of the citizens. We have put adequate security arrangement in place to give the number one citizen a rosy and crime free welcome. “Our men are every where in the state to ensure peace in the land. We have equally sent a warning signal to people of dubious character to steer clear off the area of the presidential rally or face the consequences of their actions if arrested, “he stated.